The newest cruise line in the world has announced that it has ordered three new cruise ships with the first ship from Miami, Florida in 2020. The announcement was made by Virgin Cruises CEO tom McAlpin and of course Richard Branson who arrived at the press event in Miami in style. 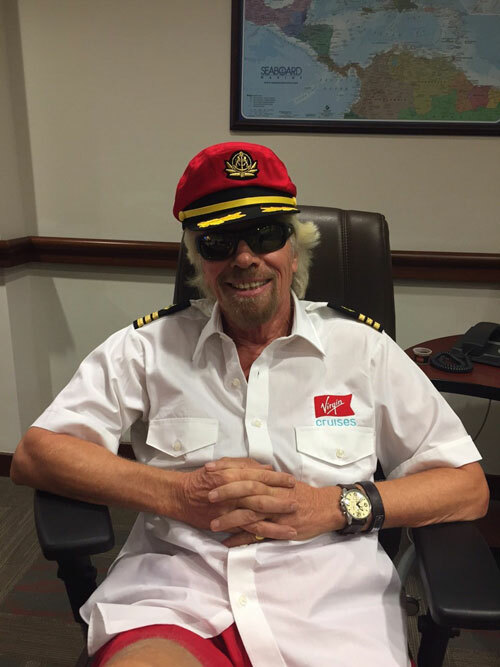 This morning Branson arrived by Helicopter wearing a red captain’s hat, bright red shorts and a logo sailors shirt. 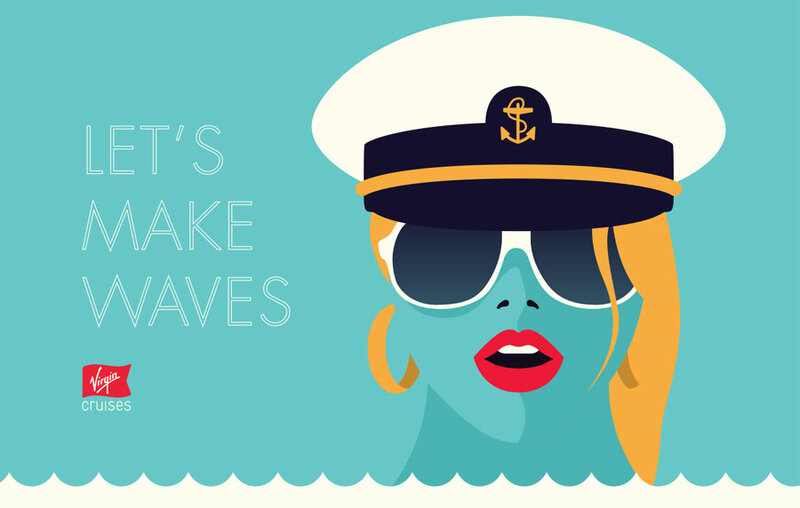 The new cruise line is set to make waves within the cruise industry. At the event it was revealed that 3 mid size cruise ships have been ordered with the Italian shipbuilder Fincantieri. All three vessels will be 110,000 gross tons which is smaller than today’s larger ships like Quantum of the Seas. The ships will carry 2,800 passengers along with 1,150 crew members. The first ship will be completed in 2020 and it will sail from PortMiami, Florida on 7 day voyages departing every Sunday. Another two vessel will be completed in 2021 and 2022. At the same time these details were announced the new Virgin Cruises website went live. people can submit ideas and features that they would like to see onboard a Virgin cruise ship. the company’s new Facebook page also went live. “Virgin is a customer built brand that listens carefully to what customers want, sharing their ideas on what the new cruise line can do to deliver an incredible experience at sea. We are committed to making waves in the cruise industry, and partnering with Fincantieri sets Virgin Cruises up to do just that. Today’s announcement and Fincantieri’s expertise in prototyping, their creativity and understanding of our vision bring together important ingredients in our future success”. More details are still to be released by Virgin Cruises including more specific details of the new ships. The cruise line will be kept busy before the first ship is built with many new onboard experiences and features to be revealed over the coming years. Previous reports of two 170,000 gross ton vessels were not correct.